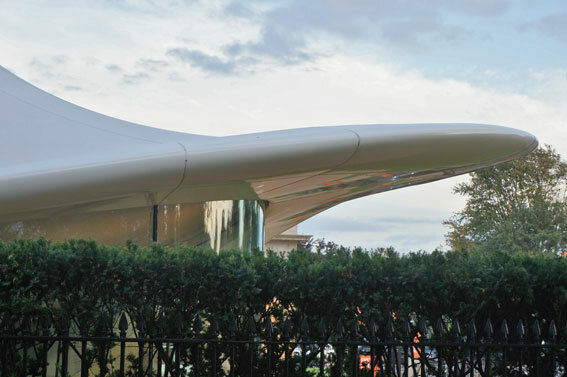 Serpentine Sackler Gallery is the first building designed by Zaha Hadid in central London. 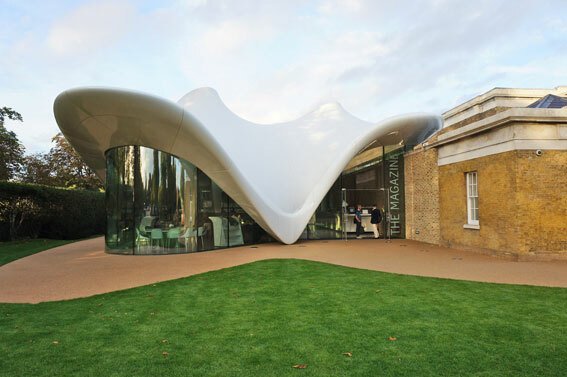 It is an extension and renovation of The Magazine, a former 1805 gunpowder store close to Serpentine Gallery in Hyde Park. It occupies 900 square metres of new gallery, restaurant and social space. As always, Hadid’s work is dividing the opinion. Some love it, some hate it. 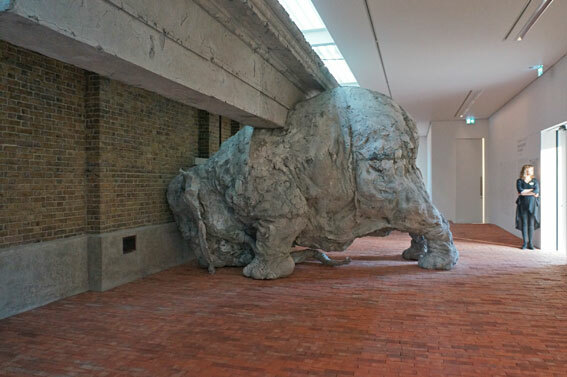 But it is worth visiting even only to see the amazing exhibition by Adrián Villar Rojas. The building looks a bit like an ufo landed in the park. There is an other worldliness about it. The streamlines are stunning, yet the finishes of the detailing has already been criticised. Time will tell how it ages, but in prime condition it looks just beautiful. 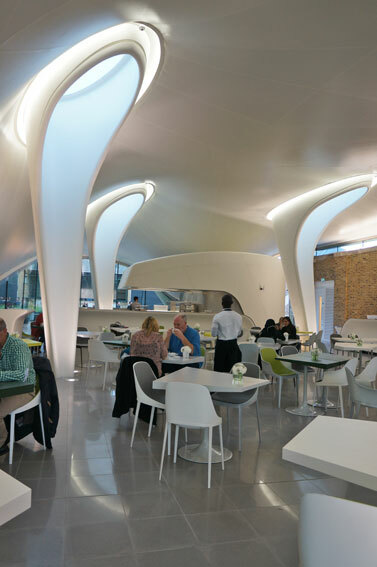 The interior is unusually small for Hadid. Yet it has already been criticised as lavish, being best suited for organising parties. I would admit, that it lacks somewhat a connection to the surrounding nature. However, the pillars and how they are capturing the light is totally unique, making it is a space like no other. However, I could not help feeling a bit like inside an airport lobby. If you are not a fan of Zaha Hadid, the exhibition next door by Argentinian artist Adrián Villar Rojas is worth a trip. It is sculptor, but like you never seen it before. Entitled Today We Reboot The Planet is a creation of the world of its own inside the gallery. It is playing with time, mixing historical and future. It is an archeological investigation into both past and future. The finishes are raw, cracks are part of the design. The work gives a feeling of being in progress, molding into something that is not quite finished yet. Which makes it extremely well suited for our times.